Do you have a hobby? An interest in something? 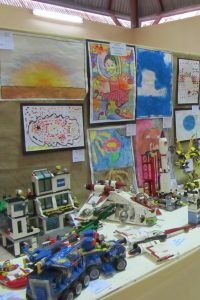 Have you considered exhibiting your work? 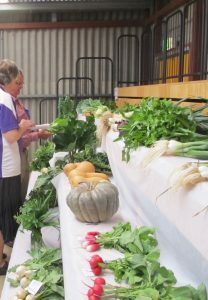 The Loxton Show provides members of the community with the unique opportunity to exhibit the skills and talents across a wide variety of interest areas. Are you a gardener? Check out the vegetable, fruit and flowers Sections. Or perhaps knitting or needlework is more your thing? Do you have some exquisite collections of fine trinkets? Or maybe you are a whizz in the kitchen? Is farming your life? Perhaps the livestock or grain and fodder Sections are where you belong. Have a look at the list of Sections we offer at our Show, and find one that suits you! The Show Office will be open to receive entries from Monday 24th to Friday 28th September from 9:00am to 5:00pm each day. Entries via email or post are welcome, and will be processed during this week. Please ensure that a separate entry form is used for each separate Section in which you are exhibiting. Exhibits will be open for public display on Sunday from 1.00 pm to 5.00 pm and Monday from 9.00 am to 4.00 pm. Check the Section page in the Show Book for specific exhibit receipt times. Please download the following form and return to the show secretary.